Resort living awaits you in the GUARD GATAED Community of Vizcaya. 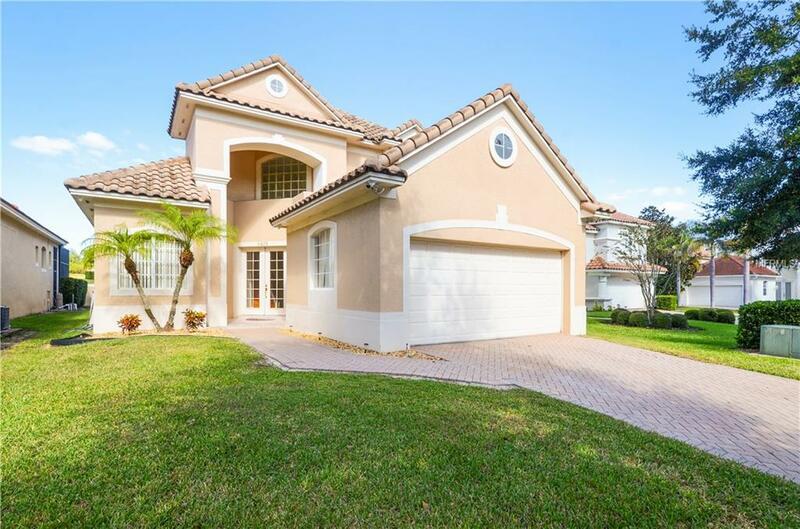 This 4 bedroom 3.5 bath POOL HOME sits on a beautiful lot with NO REAR NEIGHBORS and is move-in ready. Upon entering the home you'll find an open and well lit two-story entry with a large formal living and dining beyond. The gourmet kitchen overlooks the large family room complete with a three-sided fireplace that overlooks the enclosed pool. The downstairs Master Retreat has his and hers closets and an en-suite with dual vanities and jetted tub. Three spacious bedrooms and two bathrooms are connected upstairs by a large open den/play area. Located in Doctor Phillips this home is minutes from all the theme parks, top-rated schools, and walking distance to Restaurant Row. Neighborhood amenities include: tennis courts, tot lot, clubhouse with a state of the art fitness center, two dog parks, and picnic tables. Pet Restrictions Consult Hoa Docs.